A fresh look for golf gifts and awards. Our Normandy barware features an etched crossed golf club motif encircling its base for a designer look and a touch of class. 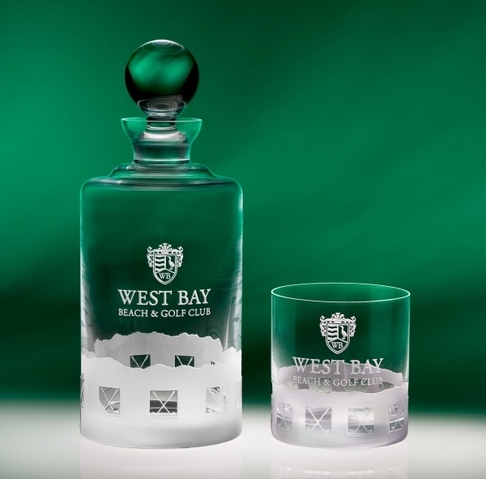 Both the decanter and the bar glass are made of lead-free, mouth-blown glass.